(1) The Old Testament canon, i.e., the books that became the Bible of Israel, was formed, not by a council of learned Jews (as some imagine), but through the writing of these books by inspired men as God's mouthpieces. Accordingly, as each book in turn was produced by such instruments of the holy Spirit, it was given to Israel by them and was, on the fact of its authorship's having been proven to be from such a source, accepted by the Israelites into their canon of the Scriptures. (2) We of the Christian church accept as belonging to the canon of the Old Testament those books only that the Jews accepted as such, because they were the Divinely appointed custodians of the Old Testament oracles of God and because in selecting such custodians the all-wise God selected such as would preserve as His oracles those books only that were such oracles (Rom. 3:2), in order that those of the higher dispensation—the Gospel Church—might have these books as a part of their source and rule of faith and practice. These two propositions are, therefore, our warrant for accepting the 24 books of the Law, Prophets and Writings, or the first 39 books of the Bible, as the Old Testament Scriptures. TWO PROPOSITIONS CONCERNING THE N.T. Two very similar propositions have made the Church of the Gospel Age accept the 27 books written by some of the Apostles and by some of their companions who wrote under Apostolic supervision, as the canon of the New Testament. Underlying these two propositions was the conviction of the early Church that our Lord Jesus came as the Divinely authorized Agent of a new and — to the Church — final revelation of God's Plan. Thus He revealed God (Matt. 11:27; John 3:2, 13, 34; 17:6, 14, 26; Heb 1:1, 2), declared His doctrine to be of God (John 8:26, 28; 12:49, 50; 14:10, 24; 15:15; 17:8, 26), and wrought and taught so mightily as to convince people generally that He was the great Prophet who was to come (Matt. 21:11, 46; Luke 24:19; John 3:2; 4:19; 6:14; 7:40; 9:17). This mission of Jesus Christ as the Divinely appointed and unique Mouthpiece of God is the basis of the two propositions that convince the Christian church that the 27 books that proceeded from the hands of some of the Apostles and some of their amanuenses (secretaries) constitute the canon, the books, of the New Testament. These two propositions are: (1) The twelve Apostles were the specially selected and Divinely authorized and inspired mouthpieces of Christ, to preserve and expound the pre- and post-Pentecostal Gospel-Age revelations of Christ for the entire Christian Church, which all of them did orally, and which certain of them—directly or indirectly, i.e., through companion agents—did in writings. (2) Such attested writings were accepted as Scripture by their disciples because of their Apostolic origin, and solely BECAUSE OF THEIR APOSTOLIC ORIGIN, because these disciples believed them to be the Divinely authorized and inspired mouthpieces of Christ. Thus these two propositions on their very face show that Jesus Christ was by all believers accepted as the Divinely authorized Agent of a new — and to the Church — final revelation of God's Plan. These propositions imply that these 27 books did not become canonical because, allegedly, the Church gave them canonicity, as Roman Catholics claim, but because of their direct and indirect Apostolic origin, and were accepted as canonical by the early Christians because of such Apostolic origin. The Church merely accepted them as canonical because of that origin. Its accepting them as canonical no more made them canonical than the Israelites' accepting the Law, the Prophets and the Writings made them canonical. In both cases their canonicity was due to their having been written by Divinely inspired mouthpieces. However, just as we would not accept any book as belonging to the Old Testament canon unless Israel had that book in its canon, neither would we accept a book as belonging to the New Testament canon unless the early Church had that book in its canon. Canonicity depends on God as the Giver of the Scriptures, not upon the people of God as custodians of the oracles of God. But what the early custodians accepted as having canonicity should now be accepted as such—not on their, but on Christ's authority, who used the Apostles as His Divinely authorized and inspired mouthpieces as teachers and writers. Mark, the writer of the Gospel bearing his name, was not its independent human author. He wrote it as the amanuensis (secretary) of the Apostle Peter; and Luke, the writer of the Gospel bearing his name and the Acts of the Apostles, wrote them as the Apostle Paul's amanuensis. As implied in Acts 12:12, Mark was a disciple of Peter, and according to well-authenticated history he was a companion of Peter for years. Accordingly, he thus became equipped with the knowledge of Christ's history and teachings as preached by Peter, and wrote his Gospel at Peter's dictation. Luke was the companion of Paul for years, even to the end of the Apostle's course (Col. 4:14; 2 Tim. 4:11; this is shown also in the "we" sections of the Acts from Acts 16:10 onward). This companionship of Luke with Paul enabled Luke to learn very familiarly from Paul the history and teachings of Christ and Peter and Paul, and at Paul's dictation wrote these out in the Gospel bearing his name and in the Acts. Thus it was really the Apostles Peter and Paul who wrote through Mark and Luke. Accordingly, the entire New Testament was of Apostolic authorship; and it is this fact that moved the brethren in the early Church to accept such writings as Divinely authorized. There was no other requirement than that of Apostolic authorship put upon a writing to entitle it to a place in the New Testament canon. And without such an origin no writing was accepted by the churches as Divinely authoritative, and thus accepted into the New Testament canon. Why, then, did the Church of the first century and subsequently require such an origin of a writing as an absolutely essential prerequisite for its acceptance of it as a part of the New Testament oracles? We reply: Jesus constituted the Twelve (the Apostle Paul taking Judas' place in the Apostolic band) His plenipotentiaries as mouthpieces and executives (John 20:21, 22; Matt. 18:18). And the early Church, believing this of the Twelve, accepted their—and only their—oral and written teachings and arrangements as Divinely authoritative and inspired, and thus as binding on the Church in matters of faith and practice. They were warranted in such a belief because of their accepting Jesus Christ as God's unique and final Mouthpiece, who as such gave God's revelation to the Church through the Apostolic teachings and writings (John 14:26; 15:26, 27; 16:12-15). This is the teaching of the New Testament, as the passages just cited prove. The Apostles were given certain powers by Christ which He gave to no others: (1) the power authoritatively to bind on the Church what it should believe and practice, and to free (loose) the Church from any belief or practice that others sought to foist upon it, or that it under deception might have been inclined to accept (Matt. 18:18; Gal. 1:8, 9); and (2) the power to bestow the "gifts" of the spirit (Gal. 3:5; Acts 8:14-25; 19:6). Though the evangelist Philip could preach and work miracles, he lacked the power to bestow the "gifts" of the Spirit, so he sent for Apostles to do this. They were, accordingly, bestowed by Peter and John, as the record shows. In the case of the disciples of Acts 19:1-6, they did not receive the "gifts" until the Apostle Paul laid his hands on them. In a unique sense these powers made the Apostles the main part of the foundation of the Church (Eph. 2:20). In common with the Apostles, others could preach and work miracles; but the two above-mentioned powers no others than the twelve Apostles have ever had. Our thought that no book is to be considered as belonging to the New Testament canon unless written by an Apostle directly, or indirectly through one of their amanuenses, and accepted as such by the early Church, does not mean that it was the Church's acceptance of such books that gave them canonicity, as the Church of Rome alleges, and therefore claims to have the power to make books canonical. This power she claims to have exercised when the Council of Trent allegedly made the Apocrypha canonical. Canonicity did not depend on the Church's accepting the Apostolic writings; rather, the Church was obliged to accept them as canonical, because they were Apostolic writings. Why then do we give as a secondary proof for the Canonicity of a book the fact that it was accepted by the early Church? It is because their accepting it as such is partly a faith proof and partly a historical proof to us that they regarded such a book as Apostolical. Their accepting it as Apostolic and thus canonical is a reason why we should accept such a book as Apostolic and canonical; for the first accepters of such books had first-hand evidence of their Apostolic origin, which we living 19 centuries later cannot have and, therefore, in part accept it on their testimony as of Apostolic origin. We say, in part we accept it on their testimony, because we also accept such books because of their own testimony to this effect. One might say that to believe these books as canonical, because they claim to be of Apostolic origin is to accept their own witness as a proof of their canonicity, which the objector would say is assuming the thing to be proved and to take one's own witness as proof, whereas its proof should be based on others' witness. We reply that if other humans would make such claims as the reason for accepting them as such, it would be proper to require other than their own evidence as proof. But in this case we come to the rock-bottom of proof—God by reason of His supreme wisdom, justice, love and power is the final authority on all Truth; and His utterances are of themselves absolute and final evidence of Truth. Jesus came as the fully accredited mouthpiece of God, and the Apostles came as the fully accredited mouthpieces and executives for Jesus as God's final Mouthpiece. Therefore we see that the fundamental evidence of the canonicity of the books of the New Testament is their Apostolic origin; and the early Church's accepting them as such simply gives us a historical proof thereon, which is only partial and not complete. This evidence is necessary, because many writings claim to be Apostolic which are not so. How may we differentiate? In this way: The early Church by its contact with the Apostles knew them, their teachings and their writings, and therefore historically can help us to know which writings are Apostolic and which are not. Its rejecting many writings as non-Apostolic, despite their claims to Apostolicity, is a distinct historical proof to us that such writings lacked the necessary proof of their Apostolicity and, therefore, are non-Apostolic and hence non-canonical; and its accepting the genuine Apostolic writings as such, and therefore as canonical, helps us to see which are canonical. Thus the testimony of the early Church is a supporting, not a fundamental, proof of the canonicity of the New Testament books. There is another point that must be considered in connection with the value of the early Church's testimony on the Apostolicity of the New Testament books, namely, the providence of God operating to bring the Church into accepting as of the canon only Apostolic books; for if God undertook to give a revelation through the Apostles, certainly He would so work as to cause that revelation to be accepted as such by those for whom He was making it, i.e., the church. This view of the early Church's relation to the canon as a witness of its Apostolic origin is quite a different thing from Rome's claim that it has the power to determine which books are canonical. God alone, through Christ and the Apostles, had and exercised that power. Therefore the Roman Catholic Church's challenge, "How would you know what books are canonical except by the authority of the Church?" falls to the ground. In the first place, by the early Church we do not mean the Roman Catholic Church, which for centuries was a growing, and now is a gigantic apostasy from the early Church, while the true Church consisted of the faithful in Christ Jesus. The Roman Catholic Church took over from the early Church the New Testament books as canonical — ​it did not make them canonical. Nor did the Church ever before the 15th century by a pope nor before the 16th century by a council claim authority, or presume to exercise the alleged authority, to make books canonical. While certain councils before the 16th century declared that the books of our Bible were canonical, e.g., that at Carthage in 397, they did not presume to make them so; they accepted them as such from the earlier Church; they declared them so because of their prophetic and Apostolic origin. The first authoritative claim of the Roman Catholic Church to make books canonical, and assumption to give effect to such a claim, was that of Pope Eugenius (1441 A.D.), who promulgated the same list (like ours, with the addition of the Apocrypha) as the council of Trent (1546) allegedly authorized as canonical. This brief discussion of the subject shows a wide distinction between the Church as a qualified historical witness to us of what books were Apostolic and canonical, and the Roman Catholic Church's claim of authority to fix the canon of Holy Scripture. The whole question is one of authorship, and therefore is far removed from papal or counciliar authority. When the question is recognized as one of authorship, we see at once that all that is needed is credible and qualified historical testimony on that of authorship. No papal or conciliar authority is needed to determine which writings are Luther's or Wesley's; all that is needed to prove them to be such is credible and qualified witnesses. So the acceptance of any writing as of Paul's authorship would depend on credible and qualified witness, which the churches and individual had to whom he wrote it, and who accepted it on credible and competent witness as to the writing as of his authorship. Thus we see fall one of the swelling words of papal blasphemy. Before considering the historical witness of the Church to the canonicity of the New Testament books, it would be in place for us to consider, in addition to what we gave above on the Divinely given authority of the Apostles to issue canonical writings to the Church, the proofs that the New Testament offers on their having authority to issue such books. And this line of thought we will preface by other pertinent things laid down in the Scriptures. The first of these is the fact that the Bible in both literal and symbolic passages teaches that it would consist of two parts, i.e., the Old and New Testaments. Eph. 2:20 is a literal passage to this effect. Primarily by the "prophets" of this passage the Old Testament Scriptures are meant, and by the "apostles" the New Testament Scriptures are meant. These are the primary foundation of the Christian Church as God's temple, because it (the church) is built upon the Holy Scriptures in their two parts: the Old and the New Testaments, which, accordingly, are its foundation as to faith and practice. These two parts of the Bible are the two witnesses of Rev. 11:3-12, which prophesied in the sackcloth of dead languages during the 1260 symbolic days (years) of their prophecy, from 539 to 1799. In this passage they are also called the two olive trees (see also Zech. 4:3), because of their containing the symbolic oil, i.e., the spirit of understanding of the Truth (Matt. 25:3, 4, 8; Jas. 5:14; Psa. 141:5), and also the two candlesticks, because they give out the symbolic light, the Truth (Psa. 119:105, 130; Rev. 18:23). In the types of the tabernacle everything pertinent to the service of the antitypical Priesthood is set forth. The two parts of the Bible are among such pertinencies; and we should, therefore, expect to find its two parts somewhere typed in the tabernacle arrangement. This seems to be done by the two onyx stones attached to the ephod at the high priest's shoulders (Ex. 28:9-12), the one on the right standing for the New Testament and the one on the left for the Old Testament. The names of the twelve tribes engraved thereon seemingly type the twelve graces of Millennial Israel, which are embedded in the two Testaments. Thus we see that the fact that the Bible would consist of two parts is set forth in literal and symbolic Bible passages. The Old Testament consists from one standpoint of 39 books and the New Testament of 27 books—66 in all. These 66 books are represented by the tabernacle's boards, bars and pillars, which total exactly 66, as follows: It had 48 boards (Ex. 26:18, 19, 22, 23), 9 sets of bars, by counting as a set each of the three rows on each of the three sides of the tabernacle (Ex. 26:26-28), and 9 pillars (Ex. 26:32, 37). These numbers total 66, the number of the Bible books. The following will clarify how the thought of Eph. 2:20, i.e., that the books of the two parts of the Bible are the foundation upon which the Church as God's temple rests. The tabernacle in a wide and in the usual sense of the word was the whole structure built of the boards, pillars, bars and their four different curtains. But in a narrow sense it was the linen curtain which represents the Church as New Creatures (Ex. 26:1, 6, 7; 36:8-14). This curtain rested directly on the boards and pillars of the structure as these were held connectedly by its bars. Thus as the Church rests upon the 66 books of the Bible as its foundation, so the linen curtain which represents the Church as such rested upon the boards, pillars and bars of the tabernacle. Surely this is a remarkable piece of symbolism, beautifully typing that there are 66 books in the Bible as the foundation on which the Church rests! In still another way the books of the Bible are represented as being 66 in number. We recall that the shewbread (Lev. 24:5-9) consisted of 12 cakes of bread placed upon the table in two rows, six loaves to a row. Primarily these loaves represent the truths of God's Word considered as spiritual food (John 17:17; 1 Cor. 5:8; Isa. 55:2) for the twelve tribes of Spiritual Israel (Rev. 7:4-8). Secondarily, they represent the Bible as the embodiment of these truths. The two rows, each of six loaves, as they stood side by side and read as numbers give us the number 66; and thus they pictured forth the thought that the Bible consists of truths contained in 66 books. Thus does the Bible in its literal and symbolic passages show that it consists of the Old and New Testaments and that these consist of 66 books. 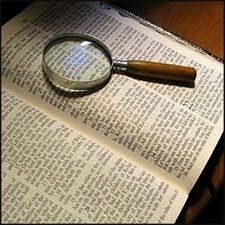 The Bible shows also that the Old Testament consists of 39 books and the New Testament of 27 books. It does not do this in literal passages, but it does this in symbolic passages—by the way the boards, bars and pillars of the tabernacle were arranged. Thus, among other things, the 9 pillars, 5 in the Holy and 4 in the Most Holy, and the 18 complete boards in the Most Holy, 6 on each side, represent the 27 books of the New Testament. The rest of the boards, 30 in number, and the 9 rows of bars, 39 in all, represent the books of the Old Testament. These 30 boards were arranged as follows: On the north and south sides of the tabernacle there were 28 boards minus those wholly within the Most Holy, and in the northwest and southwest corners of the Most Holy were two other boards 1/3 visible in the Most Holy. Thus by a literal passage and by several symbolic passages God has indicated to us that the Bible would consist of two parts: the Old and New Testaments, and by several symbolic passages He has shown us that it would consist of 66 books, and that the Old Testament would contain 39 and the New Testament 27 of these. As so symbolized, the Bible consists of 66 books: 39 in the Old Testament and 27 in the New Testament. How wise is our God! Thus, before any book of the Bible was written, God showed that the Bible would consist of 66 books—39 in the Old Testament and 27 in the New Testament. Therefore we know that only 39 books belong to the former and 27 to the latter, which overthrows the Roman Catholic canon as containing more than 39 Old Testament books. This proves also that the Bible of the Protestants contains the right number of books; and since no other than the books that we have in the New Testament were written by Apostles, it follows that the 27 books of our New Testament are canonical and that they are the only ones that belong to the New Testament canon. The Apostle Paul tells the Colossians to read the epistle that would come to them from (ek) the Church of Laodicea (Col. 4:16). This evidently refers to the Epistle to the Ephesians, which was written at Rome by the Apostle Paul at the same period as that to the Colossians was written. Both of these epistles were intended by Paul to be circulated among the churches. Some, failing to note that Paul here says, "the epistle from Laodicea," not of Laodicea, have thought that a non-canonical epistle was here meant. The Apostles wrote no non-canonical epistles. The many of such ascribed to them are fraudulent. In Col. 4:16 the Apostle Paul speaks of the circulation of two of his epistles among at least two churches, and shows the order of the circulation so far as the two are concerned as to the two named cities: one was first to be read at Colosse, then to be taken from there to be read in the church at Laodicea; the other was to be read first in the church at Laodicea and from there was to be brought to Colosse and there read in its church. The fact that God tells us that there would be 27 books in the New Testament, i.e., books of Apostolic origin, no more and no less, also proves that the many apocryphal books ascribed to Apostolic authorship are fraudulent—they are the first examples of novels produced by the fertile fancies of Christian romancers, who wrote to feed the voracious appetite of miracle-hungry nominal Christians. Now we submit—additional to that given above—the Biblical proof that the oral and written teachings of the Apostles, as being those of Christ's plenipotentiaries in teaching and executive matters, are God's oracles of the New Testament. One of the strongest proofs on this point—other than those given above—is in Gal. 1:11, 12 (ASV): "I make known to you, brethren, as touching the gospel which was preached by me, that it is not after man [of human origin]. For neither did I receive it from man, nor was I taught it [by human teachers], but it came to me through revelation of Jesus Christ." It was of this Gospel that the Apostle says in vs. 8, 9, that if anyone, even an angel, would preach another gospel than that preached by him, let him be accursed; "God ... hath in the last of the days [the Gospel Age is the last Day of the Second Dispensation] spoken unto us by his Son ... [of the] so great salvation, which had the beginning of being spoken by the Lord [Jesus] and was confirmed unto us [orally and literally] by them [the Apostles] that heard him, God bearing them witness both with signs and wonders, and with divers miracles, and gifts of the Holy Spirit, according to his own will" (Heb. 1:1, 2; 2:3, 4). Thus the Apostle Paul claims for his teachings that they are not the word of man but the Word of God, and upon that authority binds them, whether in oral or literary form, as obligatory on Christians (1 Thes. 2:13). Therefore he charges Christians to hold fast to his oral and written teachings (2 Thes. 2:15), and binds on Christians arrangements for the Church (1 Cor. 7:17). The Apostle John writes his epistles in the same sense, binding authoritatively the Divine arrangements and teachings on the brethren; and in the Revelation he calls on the faithful to hear his teachings as those of the Spirit spoken to the churches (Rev. 2:3) and denounces woes on Bible tamperers (Rev. 22:18, 19). While the Apostle James makes no such claims in his epistle, he compares his sayings with those of the Prophets as substantially the same, and sets forth his views as comparing with those of the Prophets' writings, and in the same tone of authority as theirs lays charges on his readers. The entire epistle bristles with this view and spirit. The Apostle Peter exercises a similar attitude less trenchantly put. His claim of Apostleship implies such authority (1 Pet. 1:1; 2 Pet. 1:1) and his writing for future generations of the Church implies this thought (2 Pet. 1:13-15). And he, therefore, speaks of the Apostles as having a surer word of prophecy than visions, which came by inspiration like that of the Old Testament writers (2 Pet. 1:16-21). The Apostle Jude exercises an Apostolic function by addressing the entire Church and laying various necessary obligations upon them (Jude 1, 3, 20-23). It is the Apostle Peter himself that refers to the Apostle Paul's epistles as of equal authority with the rest of the Scriptures (2 Pet. 3:15, 16). Here he refers not only to the Old Testament Scriptures but also to the New Testament Scriptures. And thus he puts them together as of a class by themselves and thereby implies the inspiration (God-inbreathing) of the New Testament, as Paul does that of the Old Testament (2 Tim. 3:15-17). Thus the New Testament sets forth the thought that the Apostles as Christ's plenipotentiaries have given us the New Testament, consisting of 27 books attested by God and Christ. Just one more thought in elucidation of this proposition on the canonicity of the 27 New Testament books. To refresh our memories we will repeat this first proposition: The twelve Apostles were the specially selected and Divinely authorized and inspired mouthpieces of Christ, to preserve and expound the pre- and post-Pentecostal Gospel-Age revelations of Christ for the entire Christian Church, which all of them did orally, and which certain of them did directly or indirectly—i.e., through companion agents—in writings. Now for the final clarifying thought on this first proposition: The main and controlling objection that certain ones in the fourth century entertained as to the canonicity of certain New Testament books, the so-called "disputed books," was THEIR DOUBTS AS TO THEIR APOSTOLICITY. While Revelation was everywhere accepted at first, later when the Millennial hope was swallowed up by the hope of first converting the world and then reigning 1,000 years over it before Christ's return, i.e., Pre-Millennialism was swallowed up by Post-Millennialism, some began to dispute its canonicity. Thus also there was some doubt as to James and 2 Peter, in which pre-Millennialism is taught. These books were called "disputed." But the main and controlling basis for disputing their canonicity by some was their doubts as to their Apostolic origin. Thus we see that the principle prevailed in the early Church that only Apostolic writings could belong to the New Testament canon. It will be noted that neither James nor Jude call themselves Apostles. This we ascribe to their humility, James speaking of himself as a servant of God and our Lord (Jas. 1:1), and Jude speaking of himself as a servant of Jesus Christ and brother of James (Jude 1). But they were undoubtedly those of the Twelve who are called James the son of Alphaeus (Matt. 10:3), and Judas, not Iscariot (John 14:22), called Lebbaeus and Thaddaeus in Matt. 10:3, and Judas, the brother of James, in Luke 6:16. We now close our discussion and trust that it will be helpful to our understanding of why our 39 Old Testament books and our 27 New Testament books belong to the Bible, the canon or rule and source of faith and practice.